Ever since I was a teenager, I have loved talking an evening stroll wherever I am in the world. 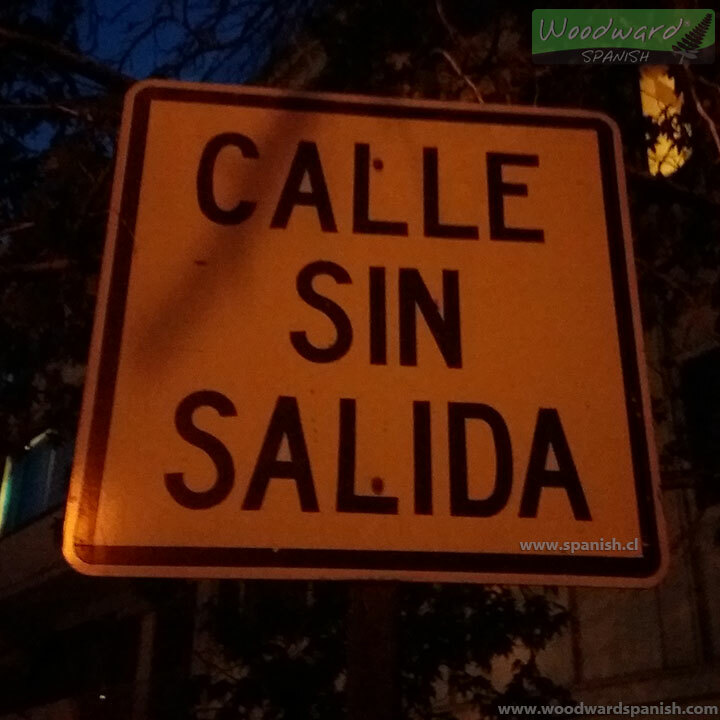 This is a street sign I came across during one of my evening strolls in Santiago, Chile the other week. I will probably go by the same sign every day (or evening) and not pay much attention to it. However, I thought it may be of interest to those people who are just starting to learn Spanish so I took a quick photo of it. I personally find it interesting whenever I see common everyday signs in a language I am learning, so I thought I would do the same for others.